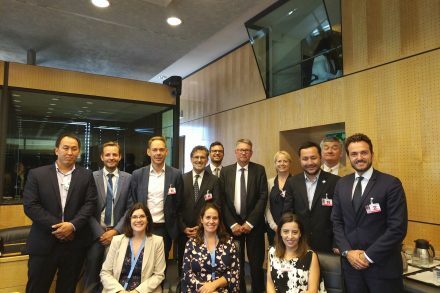 The UN Committee against Torture invited PRI to facilitate a one-day workshop on vulnerable groups in detention on 2 August 2018, within their regular session in Geneva. The workshop was supported by the American Civil Liberties Union and the Association for the Prevention of Torture. PRI brought together a range of expert representatives from national prison systems, civil society, academia and the European Court of Human Rights. PRI has long focused on advocating for and working with authorities to meet the specific needs of vulnerable groups, for example by delivering training to prison staff on meeting the needs of certain groups and working with monitoring bodies to ensure assessment of their treatment. The starting point for the discussion was that while all detainees are inherently vulnerable because of the power imbalance between the detaining authority and detained person, social status and social context mean that some individuals are particularly vulnerable. Furthermore, while it is important to address vulnerability that may come with individual component identities – like gender, sexual orientation or health status – intersectionality and how this impacts on someone’s situation of vulnerability in detention must be understood. ‘The principle of non-discrimination, reiterated in Rule 2 of the UN Standard Minimum Rules for the Treatment of Prisoners (the Nelson Mandela Rules), places a positive obligation on detaining authorities to address any vulnerabilities of people they have under their supervision, to protect them from ill-treatment or torture. Furthermore, PRI argues that the prevention of torture and ill-treatment of people with high vulnerabilities requires their diversion from imprisonment in the first instance, particularly where there is overcrowding and a lack of resources to protect them,’ said PRI’s Policy and Programme Manager, Olivia Rope. The workshop focused on seven key groups of detainees who have specific needs and who, according to the Nelson Mandela Rules and other standards, therefore require specific measures to be put into place to protect them and safeguard their rights. These were: women, children, LGBTI people in detention, minorities and indigenous people in prison, life-sentenced prisoners, people who use drugs, and prisoners with physical and mental disabilities. The guide seeks to help prison staff understand and respond appropriately to the mental health needs of adult prisoners.